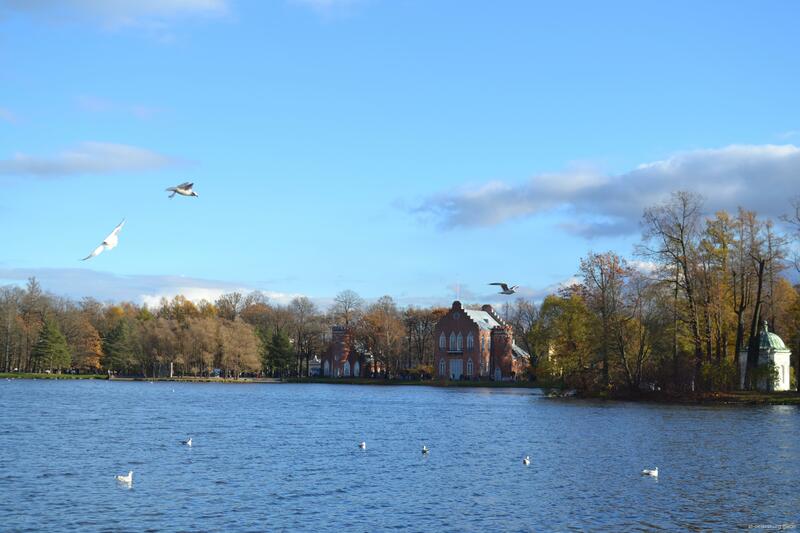 Immersed in greenery, friendly and cozy, this city – a suburb of St. Petersburg has a bright sonorous name – Pushkin since 1937, in connection with the 100th anniversary of the death of the Great Russian poet, who spent his youth here while studying at the Tsarskoye Selo Lyceum. 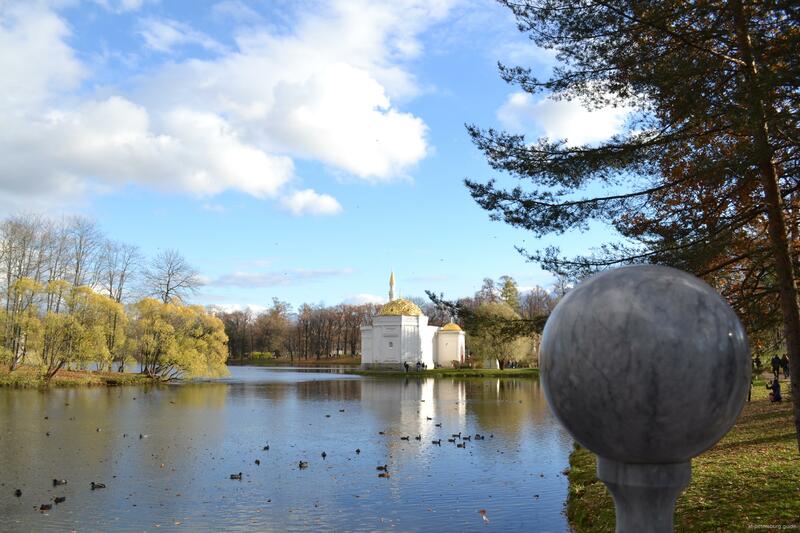 In the past, for almost two centuries, the summer grand residence of Russian emperors – Tsarskoye Selo. At the beginning of the Northern War, during which Peter I won the Novgorod lands from the Swedes, in the year 1702 Russian troops under the command of Apraksin routed the Swedes. As a zealous owner, who associated grandiose plans with the Neva banks, Peter 1 strictly forbade burning and destroying anything from “the Sarskaya manor to the Duderhof main manor.” From this Sarskaya Manor (the word “saaris” in Finnish means elevation, that is, in this case, “The manor on the hill”) and Sarskoe or, as Tsarskoye Selo soon began to call it, the new name prompted the consonance of words: from 1710, the Manor belonged Peter’s wife, Ekaterina Alekseevna, and later their daughter Elizabeth, who turned her into her out-of-town residence. In the first 100 years of its existence, Tsarskoye Selo became a true treasury of art, the center of perfect creations of human thoughts and hands. 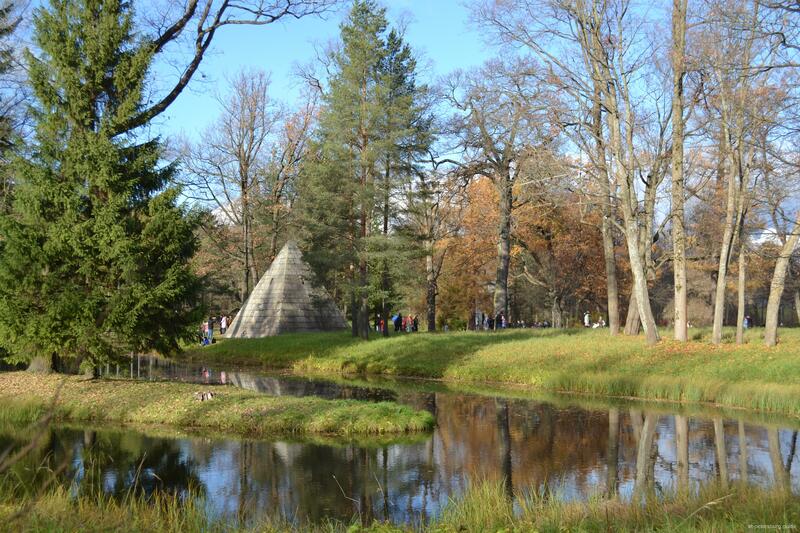 and the parks smashed the best gardeners, its palaces and pavilions were erected by the most talented architects and decorated by the largest Russian and foreign sculptors, painters, decorative art masters. Lined up in two floors, had 15 sazhen length, 9 widths and contained 16 rooms on both floors, this is the current main staircase and the closest rooms to it. Hardly came to the throne, Elizabeth was the first to decide to turn them into her main summer residence and commissioned her to draw up a project of restructuring and enlargement of the palace. For 10 years, the palace was rebuilt and expanded, and in 1752, by the highest order, new works began on the construction of the palace according to the drawings of Rastrelli. Architect Bartolomeo Rastrelli is one of the greatest architects of the 18th century. He was born abroad, but he spent his youth in Russia, and worked a lot in St. Petersburg and Moscow, so he can rightly be considered a Russian builder. 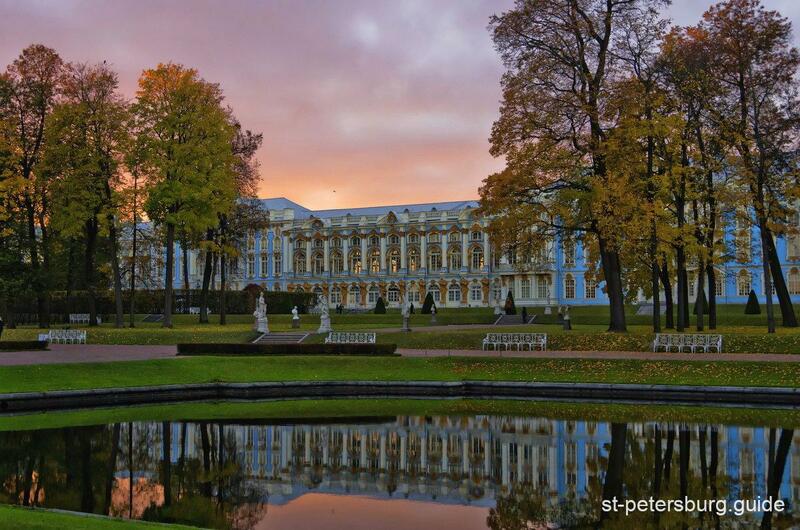 In the period 1752-56, Rastrelli rebuilt the entire Great Catherine Palace. That is how it appears before us today. The palace received its name after its first owner, Catherine Alekseevna. The three-story Palace now ran in an almost unbroken line for over 300 meters. 80 huge French windows were set in a row decorated with balconies and separated by Giants supporting the columns. The building was painted in blue and white with moldings and Giants in gold. The facade was decorated with 217 different types of Stucco molding. Along the roofline ran gilded balustrade crowned by statuary. 100 kilos of gold was used to decorate the palace. Even Catherine II who reigned after Elizabeth found it impossible to maintain such splendor and the gilt was eventually replaced by a sober bronze wash. But in Elizabeth’s time the effect must have been stunning. After the Bolshevik Revolution of 1917, the palace was converted into a museum. The museum was opened in June 1918 and was visited by a million people every year. During the World War II the Nazi invaded the town. Trains loaded with the treasures were sent to distant part of the country. Thus, many unique paintings, statues, objects of applied art and documents saved. The Nazi occupied Pushkin in September 1941 (about two months after the World War II broke out for this country). The Catherine Palace was turned into the Army headquarters, part of it was used as soldiers barracks and the chapel as a garage for cars and motorcycles. In summer 1944 after the liberation of the town works were started in the ruins, fragments collected and sorted out. The restores used them together with the pieces of decoration saved in evacuation. Now, over half a century after the end of the war, the restoration and reconstruction work that began in the 1950s can without exaggeration be described as unprecedented in world practice. The architects and restorers are still today recreating the priceless legacy of the past using the traditional materials and techniques of gilders, stonemasons, stucco-workers and other craftsmen of the eighteenth and nineteenth centuries, whose secrets are rediscovered through study of documentary sources. This used to be the richest and the most famous room of the palace. As The Story Goes early in the 18th century the Prussian King Frederick the first ordered an ember study for his wife’s Palace Litzenberg. The architect Eozander end the jeweler Tusseau were called in to create it. The Amber story was finished in 1709. Its walls were lined with panels covering 550 square feet in all. It looked magnificent. In 1716 Peter the first visited Prussia and was presented with the Amber story by Friedrich Wilhelm 1, the son of Friedrich the first. Piter greatly appreciated the gift, and gave in exchange for the 22 Amber panals 248 sturdy soldiers for the Prussian Kings guard as well as a lathe and a wine cup which he had made himself. Penals for not installed during the Peter’s life and were only installed by the order of his daughter Elizabeth during the decoration of this palace. When German units reached the town of Pushkin they were followed by specialists of the Nazi team engaged in plundering works of art. The amber panels were removed and dispatched to Königsberg. The Gift Book of the Königsberg museum recorded arrival the Amber Room as item 200, a present from the Third Reich’s administration of palaces and gardens. The plundered amber panels were exhibited together with the carved and gilded doors were exhibited in one of the halls of Königsberg Castle, which contained a museum of amber. Its director, Alfred Rohde, wrote in 1942 that the Amber Room, returned to its homeland, was Königsberg’s finest adornment. This was the last place where the unique creation was displayed. In 1944, as the Germans retreated, the panels were again dismounted and dispatched to an unknown destination. From that moment the trail of the Amber Room is lost. All searches up to now have been fruitless. In July 1979 the Council of Ministers of the Russian Soviet Federal Socialist Republic took the decision that the amber panels should be recreated. Work on them began in 1983 to a project drawn up by the architect Alexander Kedrinsky. Work on the recreation of the “eighth wonder of the world” lasted twenty-four years and on the occasion of the 300th anniversary of the foundation of St Petersburg the restored legendary Amber Room received its first visitors. The Catherine Park is made up of two parts: the Regular Park – Old Garden – and the Landscape (English) Park. Dutch master gardeners Jan Roosen and Johann Vocht laid out the Old Garden in the 1720s in front of the imperial palace. In the middle of the eighteenth century, the garden was enlarged, remodeled and decorated with sculpture, many beautiful pavilions appeared. Among them Hermitage and Grotto, Admiralty and Bathhouses. During the reign of Catherine II Landscape Park was decorated with numerous monuments dedicated to wins Russian Army and Navy. These are the Tower Ruin, the Chesme, Morea and Crimean Columns, the Kagul Obelisk, the Turkish Kiosk and Red or Turkish Cascade. The fine taste of the Empress – enlightener and legislator – was demonstrated by the Cold Bath pavilion with the Agate Rooms, the Cameron Gallery, the Concert Hall and other Classical structures. *Last monday of the month is day off. Bus 186, or minibus (marshrutka) K-286 or K-342 or K-545, to the Catherine Palace and Park"